Most women love things that look good, feel good and especially things that smell good. If you can find them all in one place, that’s even better. Well guess what … you can!! You know it as your bathroom, that place you go into and get a quick shower, put some make up on or not, before you head out the door. You breeze into this place so fast, it’s almost as though it doesn’t exist. Now imagine ... for just a moment, what it would be like to create an environment that’s a tranquil scented wonderland just for You. I’m not talking about lighting a candle that smells good before you light it and once you add the fire, the scent seems to be non-existent. I’m talking about a real oasis, personalized with all of your favorite scents. You can do this, your sanity might depend on it. 1. Colorful fresh flowers- you deserve them, get them for yourself. Let’s start with making sure that you’re home alone, no phones, no spouses (for now) and no children. Go through you linen closet and find the thickest most luxurious towel you own. Lay the towel across your bed and spray your favorite perfume above the towel. This way as the mist settles, it falls evenly onto your towel. Then roll your towel and place it so that you can have immediate access to it once you are ready to get out of the tub. It makes a great neck pillow while in the tub and you’ll benefit from the aroma of your favorite scent. Place your fresh flowers so that you can admire their beauty and experience their scent. Light your candles and start your bath water running, adding your scented gel and or bath salt. Don’t forget to turn off the lights. Observe your surroundings ……Nice! Now it’s time for you to slowly immerse yourself into the water taking your place in your own personal scent heaven and spa oasis. Give yourself at least 30 minutes. Relax and enjoy the beautiful scented environment that you’ve created. Your choice of scents says a lot about the mood and environment that you want to experience. 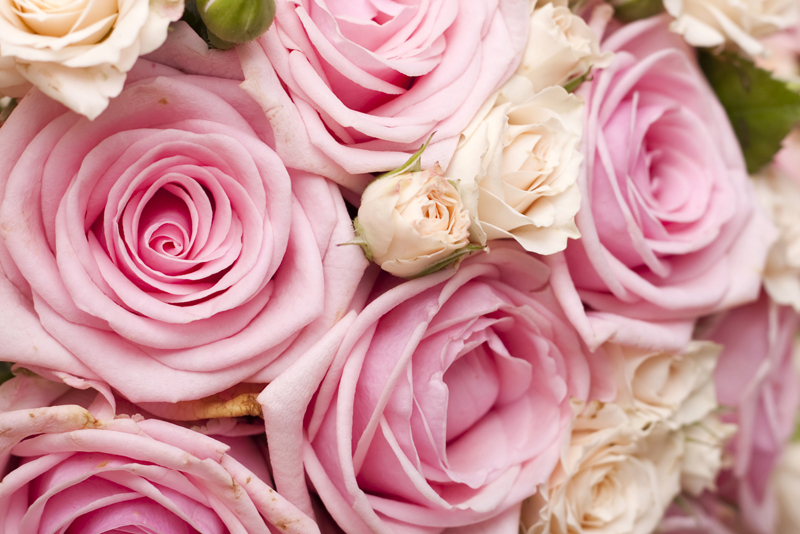 The selection of flowers, their colors and the aromas that they give off is just as important. Once you’ve given yourself enough time in your scented palace, pull the plug and allow the water to start running through the drain, taking all of the stress with it. Pat your skin dry with your scented towel. You are wrapping your body in scented luxury, that’s why I had you mist your towel before you began. Time to apply your body butter or body oil to your moist body. This will lock in the moisture on your skin and create a layering affect of your chosen scent. aaahhh !!! Don’t you smell and feel wonderful? Time to get dressed. Life Never Smelled So Sweet ! !